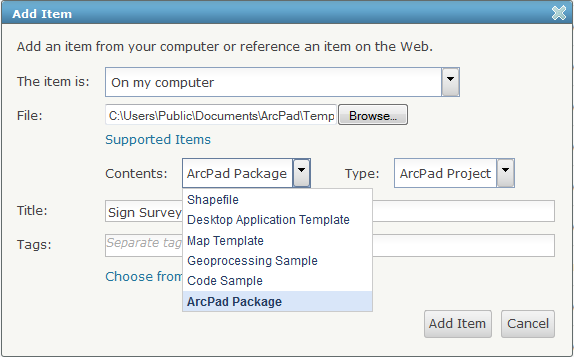 ArcGIS online now has an ArcPad Package type for use by organizations. You can load two different types of package: Templates and Projects. 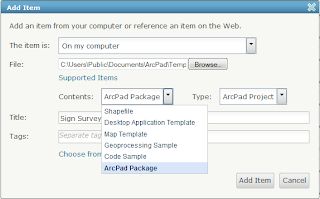 Upload and download projects (ie, a zip folder containing an apm and any of the following: shapefiles, axf's, rasters) to and from ArcGIS Online instead of your local file system to better serve your remote team members. we will continue blogging on both sites for a little while, but I urge you to subscribe to http://blogs.esri.com/esri/arcgis/category/mobile/ for future news.